Bath is a beautiful city set in the rolling countryside of southwest England, known for its natural hot springs, its honey-coloured stone and its 18th-century Georgian architecture. Here you can discover that city for yourself. 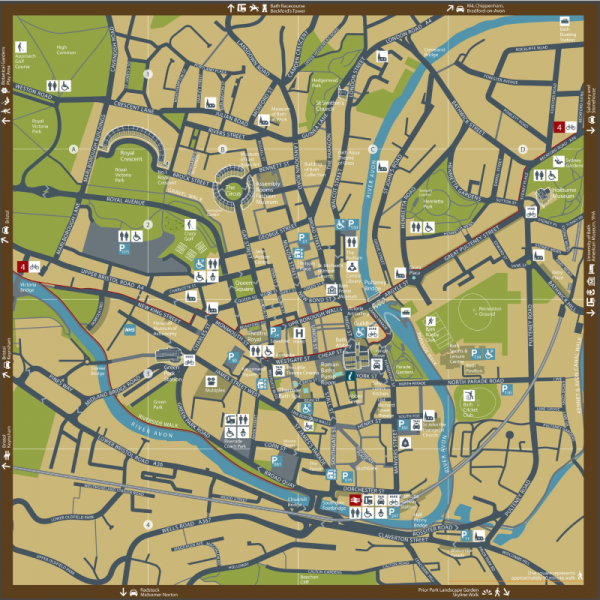 Find your way around with our range of maps, covering both the city centre and the surrounding area, or learn more about our history with an illustrated guidebook. Discover the top museums, the best place to have a coffee, or where you can take a walk to offer a new perspective of Bath. Read a book from one of our local authors, with their tales of 1830s intrigue to wartime raids of 1942, or browse photographs to see how the city has changed from the Roman Baths of 2,000 years ago, via Georgian splendour, to the twenty-first century Thermae Bath Spa. It's all here!